Mirvac Retail, which owns and manages a portfolio of shopping centres across Australia’s eastern seaboard, has total assets under management of over $4 billion and incorporates over 400,000 square metres of retail space, and more than 1600 retailers. Head of innovation solutions, Timothy Weale, told CMO Mirvac Retail is undergoing massive transformational change thanks to the sweeping digital push in retail. He positioned digital as an enabling tool allowing Mirvac to create superior customer experiences. To support this push, Mirvac Retail has struck deals with both foodora and Mall Ops. Weale said customer convenience is at the heart of the latest partnerships, which are prime examples of deals that help deliver Mirvac Retail’s vision of an urban strategy and connected customer plan. For example, the launch of the foodora partnership across the Mirvac Retail portfolio allows Mirvac restaurant and dining retailers an opportunity to introduce their service into a wider variety of communities for their customers and retailers, Weale said. Already, foodora and Mirvac have secured 12 food vendors across three Mirvac shopping centres, with a total of 23 active restaurants across Sydney and now Brisbane, with more in the pipeline. “Like never before, people are starting to adopt digital for their convenience and the foodora deal is a way we can engage with customers to have that experience from their home, but still benefit the retailers in our centre,” he said. Weale said consumers also reap the benefits with an expansion of the foodora service into sub-regional areas, such as Brisbane’s Orion Springfield Central, which starts the service this month. Meanwhile, the Mall Ops partnership sees Mirvac launching the company’s digital shopping platform at its flagship centre, Broadway Sydney. Mall Ops specialises in the production of digital shopping platforms, creating searchable capability that directly connects customers to the centre retailers and products as part of their shopping journey. “The partnership with Mall Ops provides our bricks-and-mortar customers the opportunity to essentially ‘showroom’ and see what product is available in the centre that day, and then drive them to the centre to hopefully purchase those products,” Weale said. Since launching the platform, Broadway Sydney has appeared in 354,885 product searches online and attracted more than 36,000 users on the website, vastly enhancing the centre’s visibility with existing and new customers and ensuring Broadway tenants are top of mind during the crucial shopping search phase. Weale said Mirvac’s ambition is to work closely with digital companies who are customer focused. 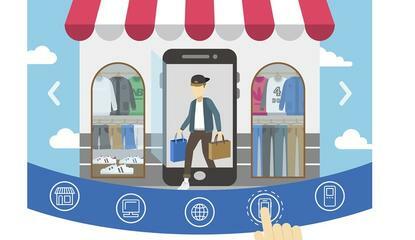 Digital partnerships with like-minded, innovative, customer-focused companies, help the company not only grow its assets, but also redefine the shopping experiences to meet customers wherever they are, he said. But even more than that, Weale said retailers need to challenge themselves to get the right balance between an e-commerce and bricks-and-mortar approach. What’s clear is Mirvac’s conversation with retailers - particularly the traditional bricks-and-mortar companies - has changed thanks to the advent of digital and the CX strategy. “No longer is it a landlord versus retailer or a confrontation about rents per square metre. The whole conversation about the metrics of a centre and what it can bring to a retailer is changing, and will change more so over the next 12 months,” Weale said. Across the board, Mirvas is pumping up its digital investment. “Digital is at the forefront of how we’re positioning the company,” Weale said. One area of recent focus has been providing a mobile-first marketplace. “While there’s still a desktop application of our Web pages, we’re really pivoting so we’re mobile first,” he said. “That’s what consumers are doing. They are all on their mobiles first." Additionally, the company is looking to gain further insights and engage with consumers on the overall shopping journey. “Right from the beginning of that initial research online, all the way through to the final purchase and that delivery piece, or fulfillment piece of where people are clicking, collecting, and how we can help retailers facilitate that,” Weale said. The company has also integrated online chat across the website platform and continues to roll out Wi-Fi across its centres. That has given the group insights into behaviour it’s never had before. “The greatest thing is we can now segment our databases so that we can have targeted strategies and help our retailers with targeted campaigns to customers who we know are active in the centre, and who are willing to participate,” Weale added.